The International Textile Alliance (ITA) is a non-profit business association that provides resources and opportunities to its members by promoting education, awareness, advocacy and technology within the textile industry. 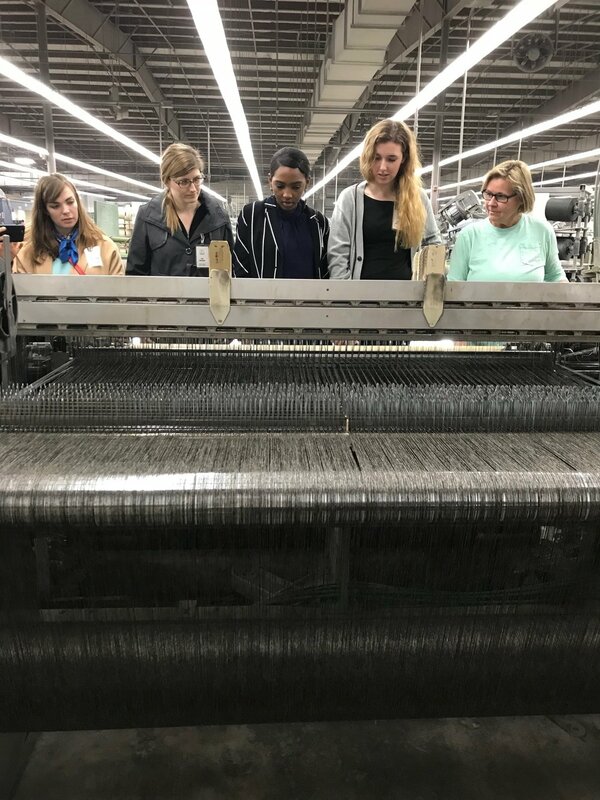 A key mission for ITA is to help grow and develop future leaders for the industry by creating opportunities for textile students from around the world. The ITA Educational Foundation helps students find internships and provides them with resources that will help them advance their knowledge and career. Katherine Shoaf, Design Director at STI, is the Educational Foundation Committee Chair and helped to organize this year's tour. 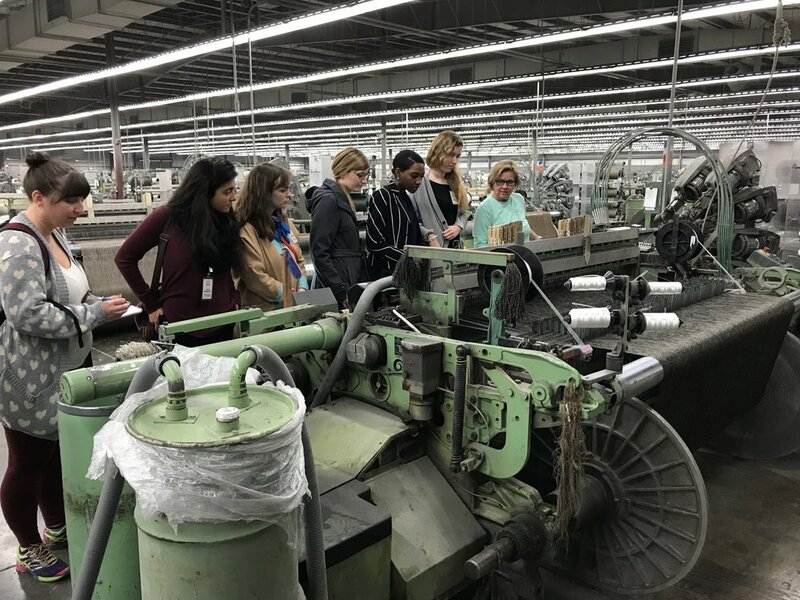 Every year, ITA hosts a three-day tour that gives the students an inside look at the textile industry from concept to consumer through visits to textile mills, design studios, upholstery manufacturers and printing facilities. The students visited STI on the first day of their tour to get a firsthand look at a domestic textile mill! The students took a tour of all three plants and met with the design team to learn about their process. 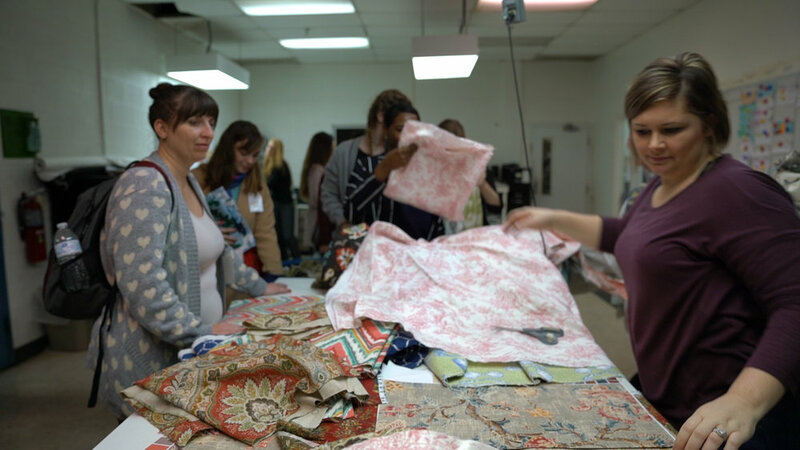 This was a great opportunity for STI to meet some future young professionals in the industry and encourage them to pursue a career in textiles! ITA Industry Tour Group! There were 22 students from schools across the country, such as: NC State, East Carolina University, Western Carolina, Savannah College of Art & Design, University of Georgia and Philadelphia University. 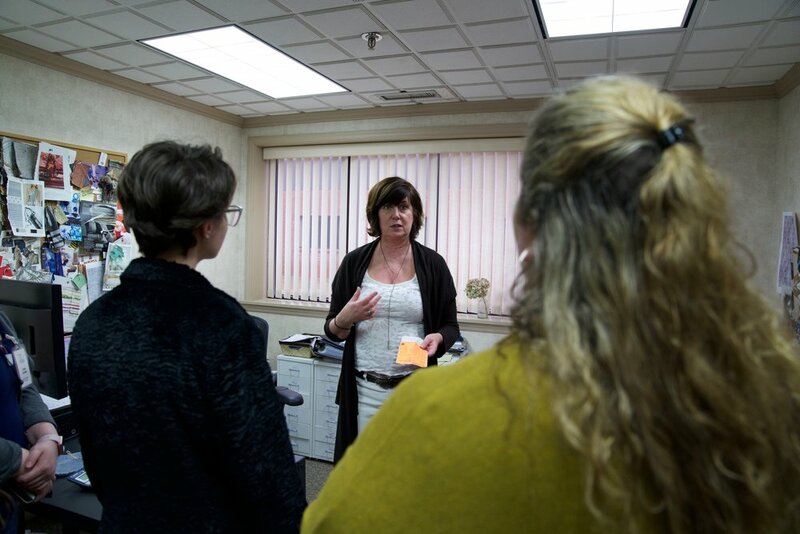 Also pictured is Katherine Shoaf from STI, and Catherine Morsell and Carrie Purgason from ITA. Chris Dodds and Jacob Englert explaining how the warping process works. Designer Glen Read sharing his experience on merchandising, how to put together a correlate package and where he finds inspiration! Brentwood Textiles designer, Kathy Dotterer, sharing her experience and thoughts on textile design! 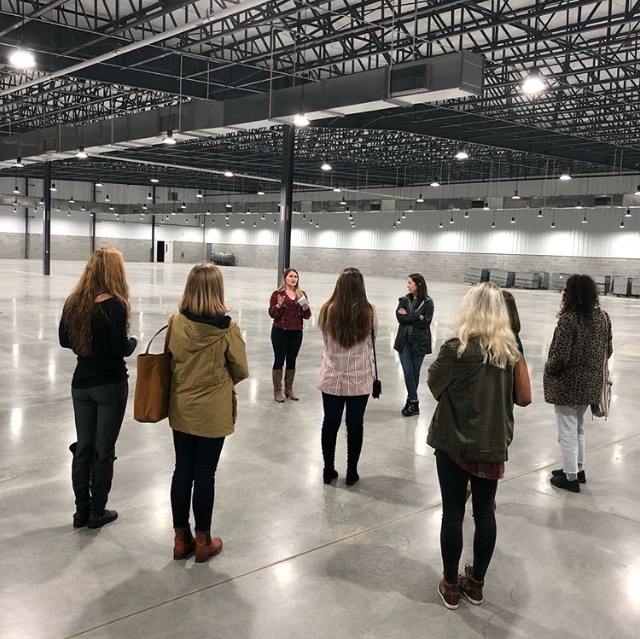 Jessica Dalton leading her group through a tour of our new Plant 3! A group of students seeing firsthand how a loom works! Below: The students also visited Bennettsville Printing on their educational tour. Check out the photos below from Bennettsville!